Spring has sprung, well almost. 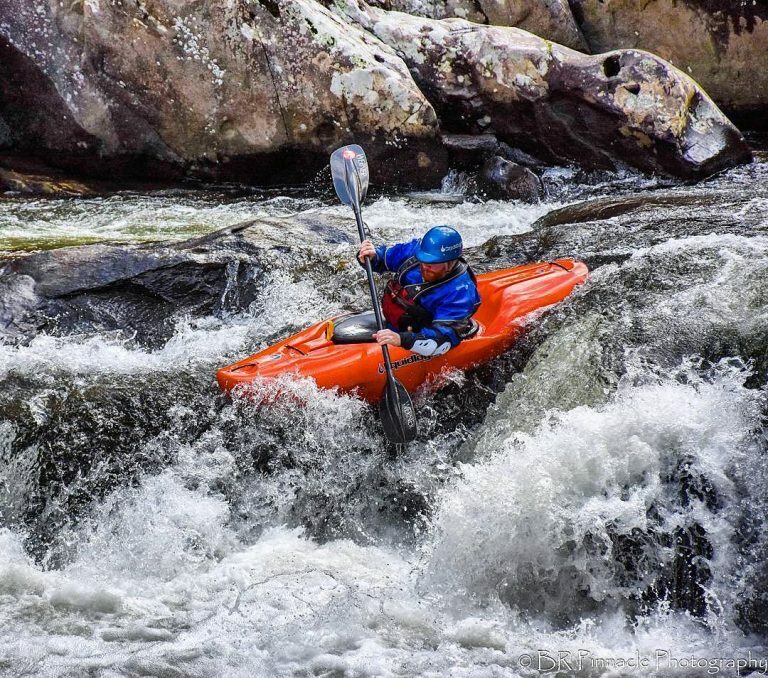 If you’re anything like us you’ve likely been paddling through the winter season, but there are some who prefer to hang up the kayaking gear and hibernate through the winter. Kayaking in the cold season is a different ball game, and one little swim can make us long for the warm days of summer. Springtime is the perfect time to start running your icebreaker kayaking trips to start getting dialed back in for warmer weather ahead. If you have been cozying up on the couch, or playing a lot of darts at the local watering hole, you’ll need to do a little checklist before heading off on your trip of the season. 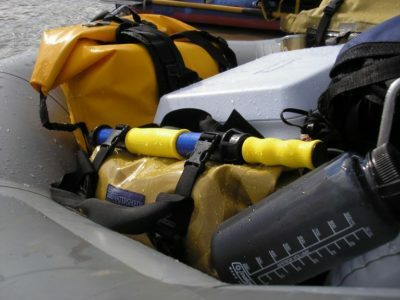 Any good boater knows to thoroughly check your gear often, and hopefully every time you use it. It’s easy to store boats and gear over the winter that may have sustained damage during last year’s paddling season, and completely forget once the thermometer begins to rise again. The old, “I’ll fix that later” attitude comes in perfectly when it’s 30 degrees outside and snowing. Set all your gear out and check over everything for holes, and dings or damage of any kind. Also, mice and other pesky creatures like your kayaking gear…a lot. They want to make little homes with the stuffing and fabrics, so check for critter damage as well! Just because the weather is warmer, doesn’t mean the water is. Springtime can be deceiving, and you need to be prepared in case of a swim or general soaking. 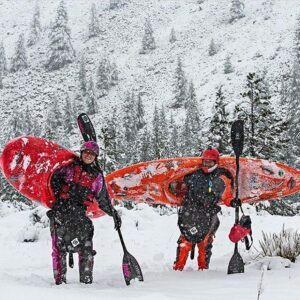 If you don’t own any good winter paddling gear, you might want to consider borrowing a splash top or dry suit from a buddy if you don’t want to invest in your own. Dressing in layers is key to keep your core warm, as water will conduct heat away from your body faster than air. You can always take layers off to stash in your drybag if you get too hot, but taking a swim and being cold the rest of the trip is no bueno and can be incredibly dangerous. 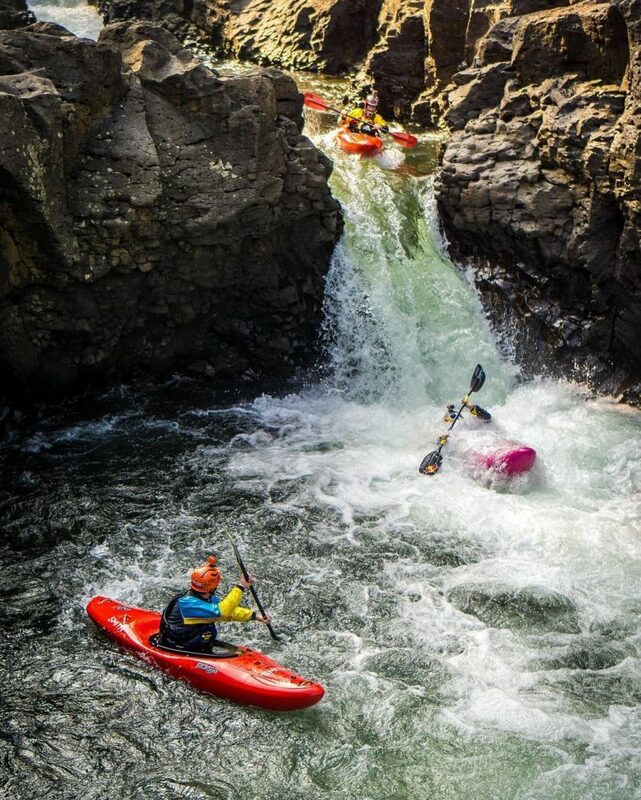 Springtime can be a perfect time of year to go paddling, but that perfect day can change real quickly. Weather is constantly changing during the spring and it’s not uncommon for storms and cold fronts to come on quickly and often forcefully. Like you would anytime you go paddling, check the weather in the area you intend to head to. Having a good emergency take out isn’t a bad idea in case things get too hairy. Download a solid weather app that will come in handy to stay up to date as soon as you hit the water, and for some hopefully having enough service to stay in the know throughout the day. Knowledge is power, but you’re powerless over the weather so…be prepared! Most creeks and rivers are natural flow and will change after floods, storms and other weather or man influenced events. Even dam-released rivers can be altered in this way. 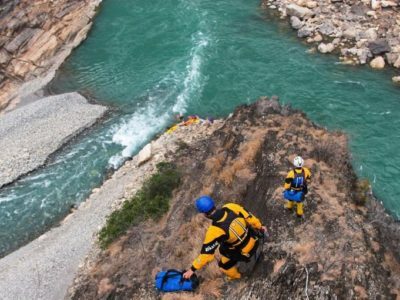 You’ll need to re-learn the river and rapids to get familiar again. Don’t assume a river or rapid is going to flow the same it did last year, or that you’ll encounter the same obstacles. Even huge boulders can be moved with enough force creating all new danger spots, holes and what have you. When in doubt, scout it out. Kayaking is always more fun with your homies, so work together to hold safeties for one another and scope out each rapid step by step. So it might take a bit to get yourself familiarized again with your boat, especially if you were watching a lot of Netflix over the winter. Don’t push yourself too hard, or get frustrated by a bad line or a by-chance a swim. Get a good crew together to go along, and maybe even make an overnight camping trip out of it. 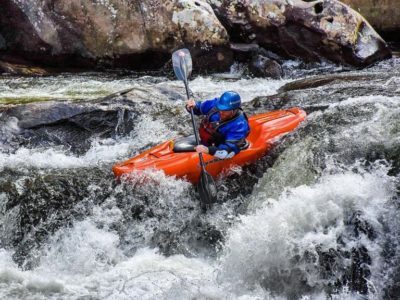 Kayaking is fun, but we all can have a bad day now and again so don’t sweat the small stuff. Remember to channel the ancient art of Wu Wei and “actionless action” to just go with the flow…but avoid rocks and holes. And your friends. And trees. The river is calling my friend, and you must answer her call! Just check your gear and the weather, dress to impress, bring your buddies and re-introduce yourself to her. Warmer days are ahead, but that doesn’t mean you can’t head off in search of kayaking nirvana today.